Total Area: 0.77 sq. mi. Council Meetings: First Tuesday of the Month at 6 p.m.
University Park is located on next to Oskaloosa on the southeast corner. 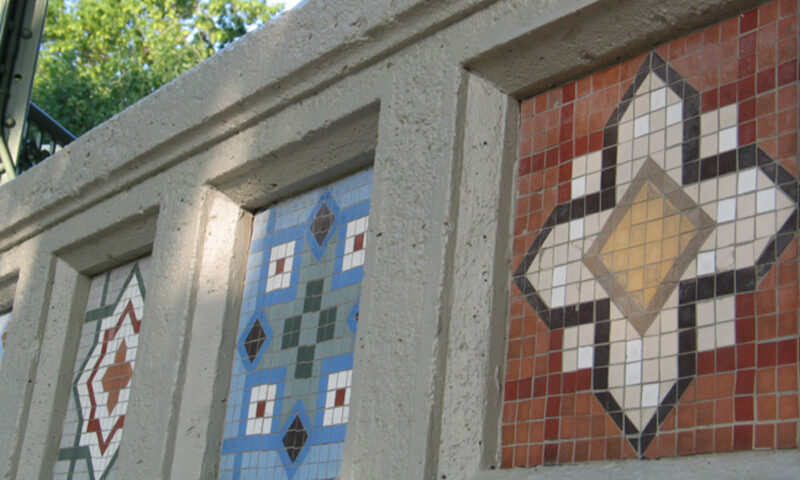 It houses the former campus of Vennard College, the buildings and grounds of which are still active through many community endeavors including a miniature golf course and tennis court which are open to the public. 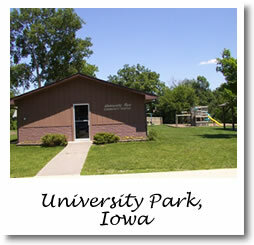 University Park also has a community center, two basketball courts, a baseball diamond, an outdoor shelter, and a playground. The Mahaska Recreation Trail connects to the community from Hwy. 92 heading north toward the University Park Cemetery. The Community Center is available for rent. It is equipped with a stove, refrigerator, microwave, coffee pot, seven 8-foot tables, and 70 chairs. To rent the Community Center, call 515.329.5767. 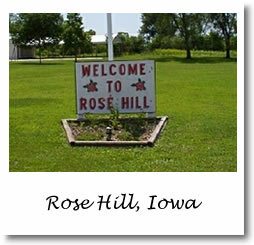 Rose Hill is a quaint community and is home to the Rose Hill Methodist Episcopal Church – a frame building which was built in 1879 in the Gothic Revival style. It is the only 19th-century church building that remains in its original location in town. the pointed arch windows are all at 45 degree angles which shows the limited carpentry experience of the church members who built the structure. It was listed on the National Register of Historic Places in 2003. Total Area: 0.94 sq. mi. City council meetings are held 6 p.m. on the first and third Wednesdays of the month. Total Area: 0.08 sq. mi. 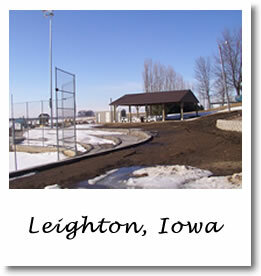 Council Meetings: First Tuesday of the month at 5:30 p.m.
Leighton is a small but active community located midway between Pella and Oskaloosa. 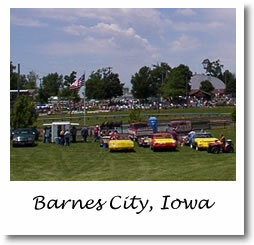 The town was founded in 1865 when B.F. and Marietta Roberts filed the original plat to the town. It was named after William C. Leighton, an early area land speculator and was incorporated in 1909. City Council Meetings: Second Monday of the month at 7 p.m. 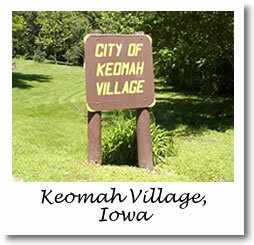 Located on the eastern shore of Lake Keomah, the city was incorporated in 1973 from lakeside plat consisting of 150 lots laid out for summer cabins. Residents wanted to live there permanently, so they remodeled their existing cabins or built new homes. The lake is part of the DNR managed Lake Keomah State Park. Most homes have a view of the 80+ acre lake allowing residents to interact with nature right outside their back door. The city is an all residential community with water from Mahaska Rural Water; electric and natural gas from MidAmerican Energy; fiber-optic high speed internet, digital television, and digital telephone services through Mahaska Communications Group (MCG). The community has street lights, hard surface roads, and a city owned sewer system. Total Area: 1.03 sq. mi. City Council Meetings: First Monday of the month at 7 p.m. 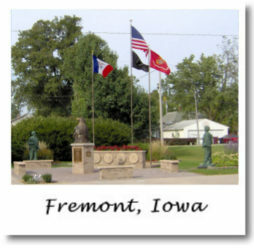 Founded in 1848, Fremont is considers itself “A Small Town with a Big Heart.” Located on Highway 23 midway between Oskaloosa and Ottumwa, Fremont is only 12 miles from the Cargill Complex in Eddyville, is proud of their K-8 school, and annual presentations from their theatre group which attracts approximately 1,500 attendees each year. Total Area: 1.18 sq. mi. Council Meetings: First Monday of each month at 6 p.m.
Eddyville is a community that straddles Wapello, Mahaska and Monroe counties. 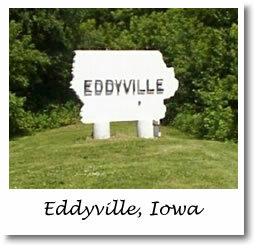 It was founded by Jabish P. Eddy, in 1841, before Iowa became a state. It was a place for trade with the Indians and for pioneers to provision and ford the Des Moines river. The first commercial coal mines in Wapello County were opened near Eddyville. Local oral history has it that a two-story house that once stood at the northwest corner of Seventh Street and Vance Street served as a stop on the Underground Railroad until the Civil War made that unnecessary. Total Area: 1.01 sq. mi. Council Meetings: First Tuesday of the month at 7 p.m. unless the first Tuesday falls on the 1st or 2nd of the month, then the meeting is held on the First Thursday of the month at 7 p.m. Meetings are held at the Beacon City Hall. Beacon was laid out in 1864 as a coal mining town under the name of “Enterprise.” On the completion of the Keokuk and Des Moines Railroad, it was called “Oskaloosa Station.” Mining boomed shortly after the Civil War. There used to be a five-story mill in the town made of brick and stone. Beacon was incorporated in 1874 and was a thriving mining community. As the mines moved westward, so did the miners. 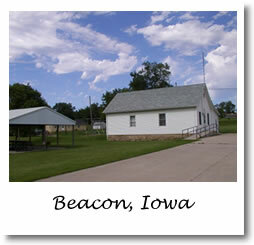 Beacon today is a quite comfortable community located on the west edge of Oskaloosa. Council meetings: First Monday of the month at 7 p.m.
Total Area: 6.88 sq. mi. Council Meetings: First and Third Mondays of the month at 6 p.m.
State of the City: This publication shows tax dollars division, project updates, goals, and council contact information. Located in the heart of Mahaska County in Southeastern Iowa, Oskaloosa is a progressive, diversified city whose economy is made up largely from retail, industry and agriculture. It is the county seat. Oskaloosa can trace its roots back to the time that the state of Iowa was born. In the mid 1800’s a group of Quakers settled in an area southeast of Des Moines, midway between the Skunk and Des Moines rivers. In 1844 Oskaloosa was a pioneer village containing only 13 crude cabins and two stores. 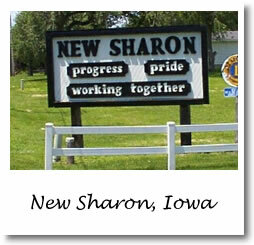 The town grew rapidly and by 1853, when it was incorporated, had a population of about 1,000. 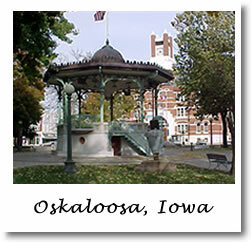 Oskaloosa was named for a Creek princess named Ouscaloosa.